Think summer; think of sunflowers. 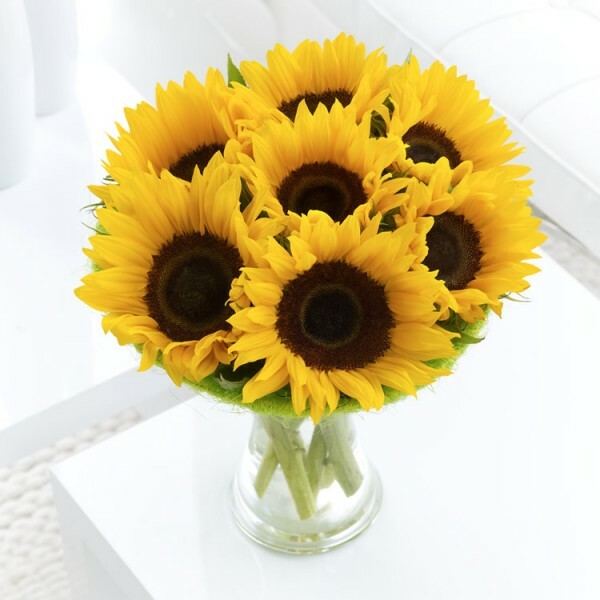 For fans of the iconic sunflower with its wonderful contrast of dark centre and sunshine surround of yellow petals, this gift is the perfect choice. The perfect simplicity of this stunning arrangement makes for an eye-catching display. Featuring 6 medium sized sunflowers arranged in a curved clear glass vase and finished with a green sisal collar.